What makes Putz’s Creamy Whip magical is not that they have their own street: Putz Place. Or that President Nixon moved the proposed I-74 expressway 50 feet south to avoid Putz’s back door. 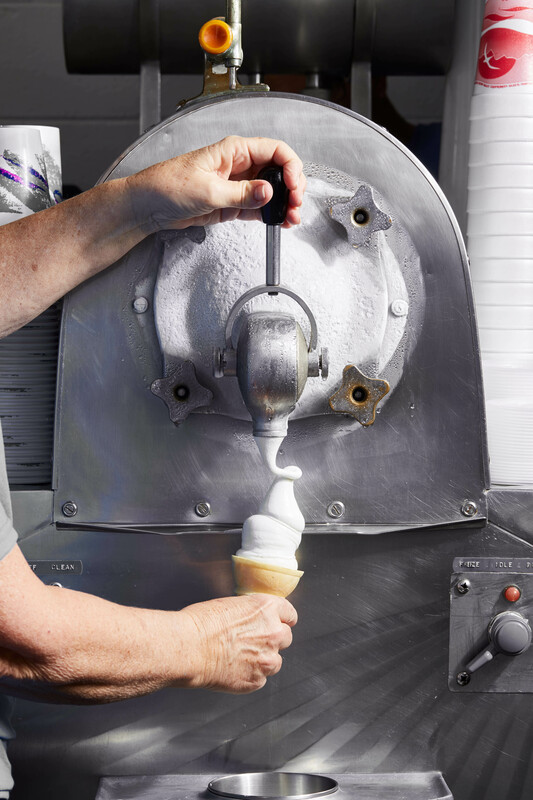 The real magic is Bessie—a 1953 Electro-Freeze soft serve machine that has faithfully served vanilla ice cream to customers for more than 50 years. Jack Borgman, husband of owner Donna Borgman, says there are about 100 of these machines in the world still in working condition. So what’s the secret to Bessie’s little taste of heaven? Some say it’s that she doesn’t pump air into the ice cream like all those newfangled machines. 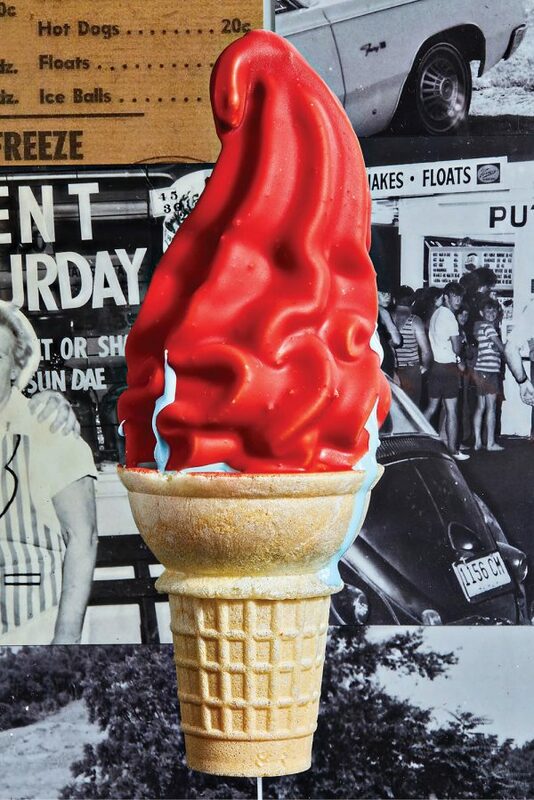 Others contend that Bessie is the only model that forms ice crystals so tiny and uniform that they mingle symbiotically with the richness of the cream. 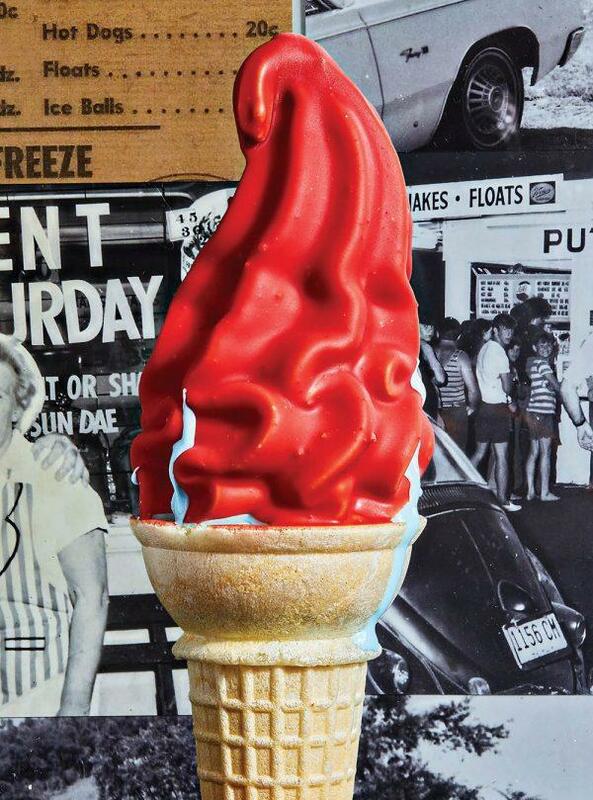 Whatever the reason, this is the most amazing soft serve you’ve ever tasted. But what always surprises me about Putz’s is that tons of people swear by the food. 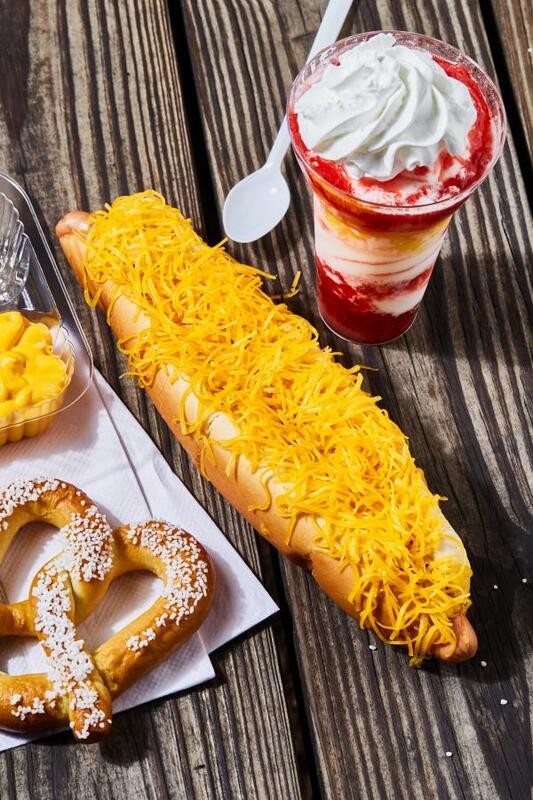 In a city where chili rules, Putz’s spicy foot-long cheese coneys have continually ranked with the best. Their sweet beef barbecue sandwiches, topped with a touch of creamy slaw, are also a big hit. And the cheeseburgers—yep, the plain old 100 percent beef cheeseburgers with the basic dill chips, ketchup, and mustard—get high marks. But I suspect that may have something to do with Bessie’s PR-perfect banana split or her Coke float swaying opinions to the positive. 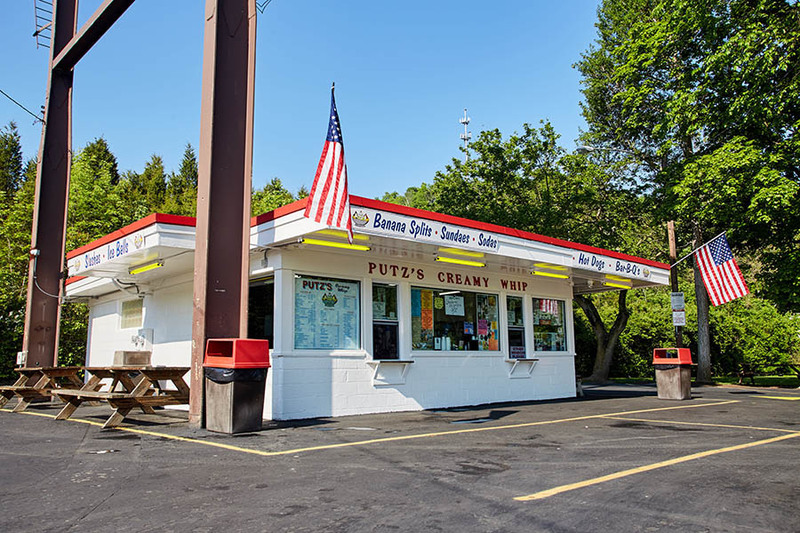 Putz’s Creamy Whip, 2673 Putz Place, Westwood, (513) 681–8668. Lunch and dinner seven days, April–September. Originally published in the July 2016 issue.